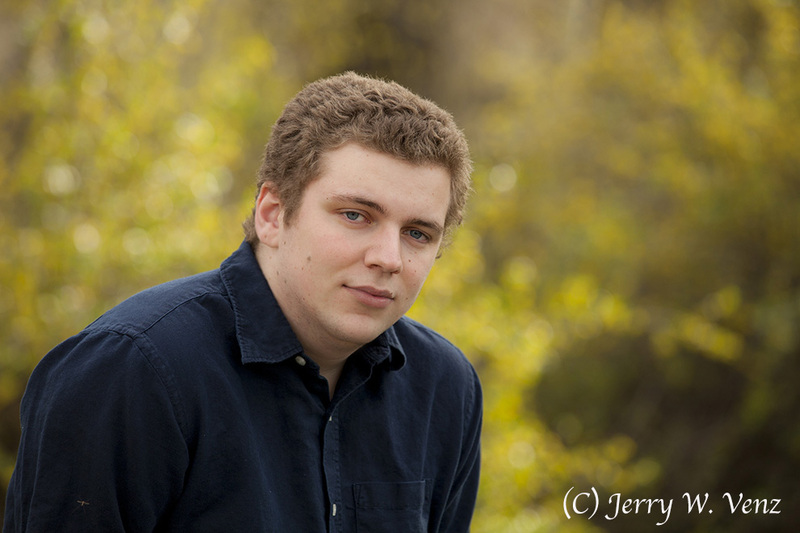 The Goboist: PORTRAITS OF HIGH SCHOOL SENIORS WITH WHAT THEY’RE JAZZED ABOUT! PORTRAITS OF HIGH SCHOOL SENIORS WITH WHAT THEY’RE JAZZED ABOUT! My favorite hight school seniors to photograph are those that are involved in sports or the arts or something where we can introduce, as props, things they can interact with that tell the viewer what they’re passionate about. We’ve also noticed when doing people’s portraits that they are more relaxed when holding something familiar. Personal objects tend to have a calming effect making them less aware of the camera. 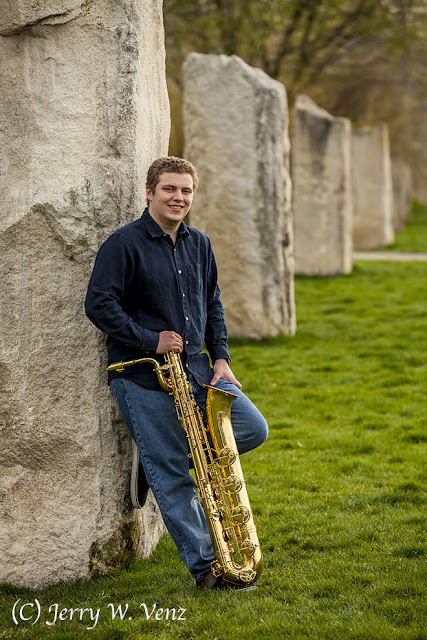 So, when I found out that this young man from Eagle High School (Eagle, Idaho) was a musician and played saxophones in several bands, including their Jazz band, I asked his mother to please bring his instruments to the session! This was special to me because I played the Alto Saxophone way, way, back in Junior High School and have always loved its sensual sound. After we did the usual yearbook portraits I changed-up the lighting for this very dramatic lighting of him playing his sax. I placed my 7-foot main, soft box, 90 degrees to the left of camera and removed my usual white reflector from camera right—if you want drama in the studio remove ALL FILL! The only other lights are the background and hair lights. 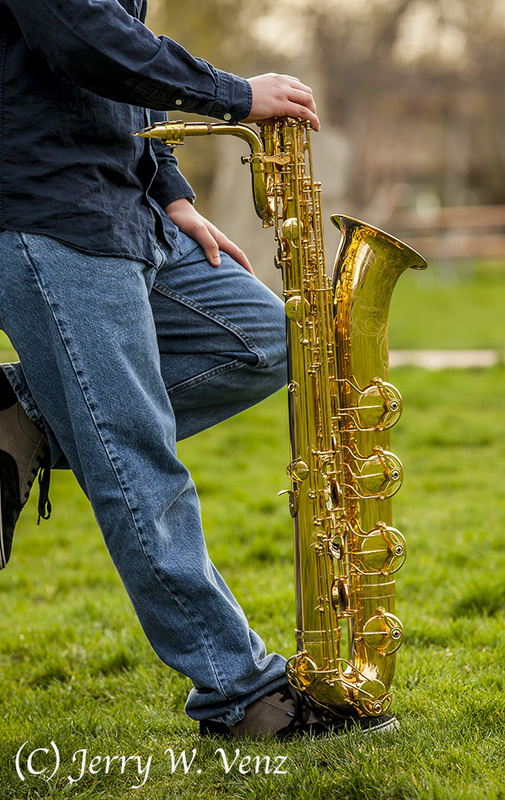 Next we moved outside to a local park with him more casually dressed and toteing his baritone saxophone…. I like the big baritone because it does not get lost in a full figure pose—it has substantial presence! He really liked this particular image! 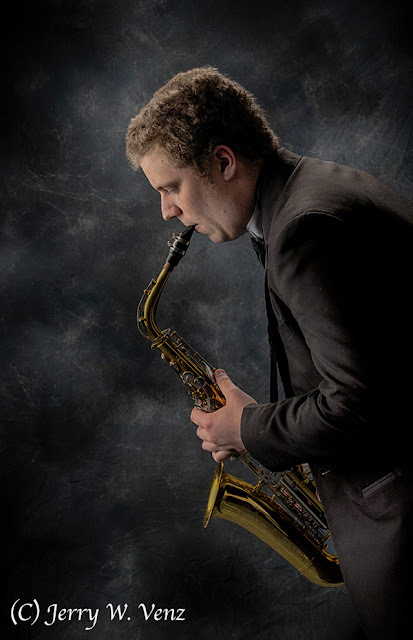 Mom wanted some close-ups without the saxophone so we moved to a spot with a nice backlit background. By now he was very relaxed with us so we had him sit on a low, split rail, fence while mom coaxed a smile out of him. By using f4.5 @ 200mm I always get a nice painterly look in my backgrounds and good Bokeh from the backlight’s specular high lights.